MIAMI LAKES, Fla. – Following a recently announced $1 million investment in Florida’s workforce system to help Puerto Rican families displaced by Hurricane Maria find jobs, today, Governor Rick Scott announced a new job placement partnership between education, business and workforce development organizations. 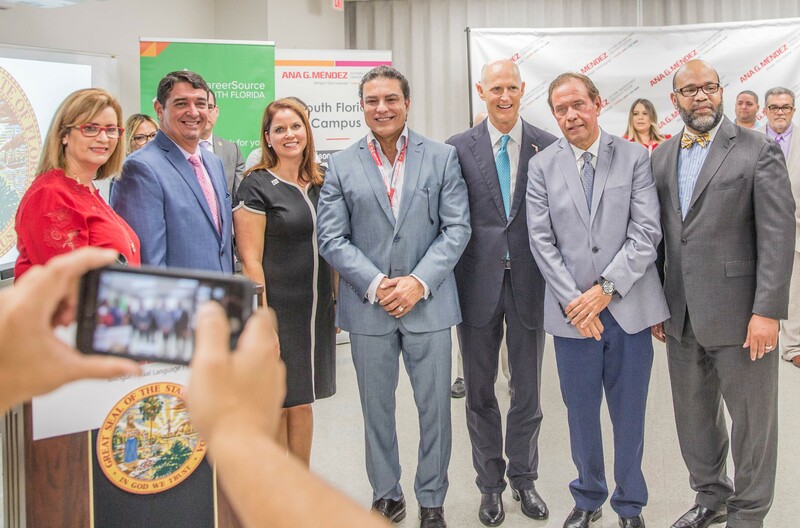 CareerSource South Florida, the Puerto Rican Chamber of Commerce of South Florida and the Ana G. Méndez University System will work together to connect families relocating from Puerto Rico with available job positions and provide needed job training. Today’s announcement took place on the South Florida campus of the Ana G. Méndez University System, which has provided scholarships for more than 50 Puerto Rican students to continue their studies in Florida.